Plyometric training has many practical implementations for a variety of goals. There are numerous plyometric training benefits that can be achieved. From athletic training to power benefits for strength and overall training variation. As you can see, there are many benefits to plyometric training, all of which I will be giving more detail on throughout this article. With that being said, we first need to understand what plyometric training is. The way I describe it is, you are letting go or releasing whatever resistance you are pushing against. This could be a barbell in a curl or the floor in something like a jump squat or box jump. This style of training allows you to work on your power by recruiting maximal muscle fibres while typically using a lightweight. With all of this being covered, let’s get into the first benefit of plyometrics, which is athletic training. With me having a background in numerous sports, it was crucial for me to develop my power. 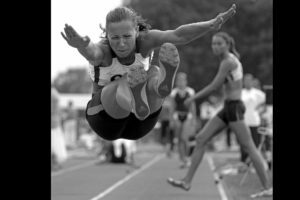 Although gaining muscle and strength came along with my training, I often used plyometrics to develop my power, this had great carry over to my overall athleticism and strength. I did many plyometric exercises, with the main one being box jumps. I found those to be greatly beneficial for lower body power and total body coordination. As mentioned above, plyometric exercises allow you to recruit maximal muscle fibres because of the need for acceleration to actually “release”. This is why plyometric exercises are great for working on power, you are trying to produce maximal force, and the release part of plyometrics greatly aid in this. In order to effectively perform a plyometric, you need to be using light enough of a weight to actually achieve the acceleration needed. Matter of fact, plyometrics are often times used with body weight. This because they allow for the use of a lighter weight, and body weight training is highly conducive to plyometrics. Also, introducing plyometrics is a great way to progress with bodyweight movements, as progression with bodyweight training is often times difficult to do. Now that we understand the use and benefits of plyometric training for athletic development, let’s talk about actually utilizing them in our training. When doing a sole “athletic performance” training day (which for me, mainly included conditioning, specific plyometrics and overall power training), there was an overall theme to the training. This theme was that power was typically the foundation of my training. I would perform some kind of conditioning circuit, with a power focus. I often times found that with my conditioning circuits, plyometric exercises helped for both power, but also to induce a greater conditioning effect. 15-20 rep sets of goblet jump squats are brutal. I would also do these in addition to other fluent more “power specific” movements like kettlebell swings. After that, I would perform some kind of plyometric(s), with the sole focus being on power. Things like box jumps and broad jumps. When it comes to strength training, we, of course, need to be handling heavyweight. However, learning how to use that strength quickly can be hugely beneficial in the grand scheme of our overall strength. I use some sort of plyometric within my strength training to help with power, and I have also followed up strength programs with a short power training block. I feel this has helped contribute to my overall athletic performance and strength gains. For me, when strength training, of course utilizing the main compound movements, done heavy was the foundation of my training. Then assistance exercises to target different parts of the main movements as well as my weaknesses, this helped bring the exercise up as a whole. However, as an “icing on the cake” sort of thing, I would include some kind of plyometric to help with power. This usually involved weight as it would be more relative to my goal of strength. This would look something like performing my main movement heavy. For example, the squat with a 5×3 at a certain percentage, maybe with a heavy single variation before that. From there, I would perform assistance exercise to work on weak points and different parts of the squat, this would include things like lunges, goblet squats and other squat variations. After doing this and some volume work, I would typically perform some form of a plyometric, like the box jump. When the strength training block concluded, a power program would follow. This would include my main movement being performed with power in mind, working and weak points and a fair amount of plyometrics and powerful flow movements. The variation benefits of plyometrics can come from a couple different scenarios. The first being, having variation for your main goal, such as strength training or hypertrophy. However, if you’re mainly doing bodyweight training, plyometrics can be a great way to progress. This because you’re not using weight, and I would say adding reps forever isn’t the most effective way to do things. For variation in goals like hypertrophy or strength training, I often times found myself looking for exercises to complement the main lifts or my goal. Sometimes, these included plyometrics, which I found to be quite beneficial. For body weight training, progressing in some form with your exercises is crucial to see results. This is a limitation of body weight training as you are limited in your ways to accomplish this. That is where plyometrics can often times be beneficial! An example of using plyometrics as a variation would be when I was looking for assistance exercises for my bench press, one that would be unique yet beneficial. I ended up selecting a plyometric push-up, which fit exactly the role I needed it to. For body weight training progression, introducing plyometrics at a point where your normal training may be getting too high in reps for effective benefit, consider implementing plyometric training. 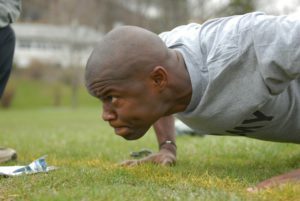 For example, if you can do 50 push-ups in a row, introducing a plyometric push-up can be a beneficial way to progress. As you can see, plyometric training definitely has its place and benefit. Whether it’s for athletic training, or to provide a power benefit for strength training, all the way to adding variation in your training. Plyometrics have their place! Although not usually a main movement type, this training can be hugely beneficial for a variety of goals! I thank you for taking the time to read this article, and look forward to you being able to benefit from plyometric training! As always, if you have any questions or comments please do not hesitate to leave them below and I will be sure to reply! My Son uses Plyometric training all the time and he skips, jumps rope, hops, does lunges, jump squats, and clap push-ups and all of these plyometric exercises help him immensely. I have shared your URL with Dan so he can come and view this post as he may get some more nuggets to help him along with his training regime and thank you Kohl for explaining this type of training in this post. Hi Vicki, no problem! Your son sounds like he is quite into training! That’s great to hear, I wish him luck! As a Personal Trainer myself I believe plyometric training must be included in any well rounded workout plan. There is great information on this site that will help a lot of people! I agree! I appreciate the positive feedback!